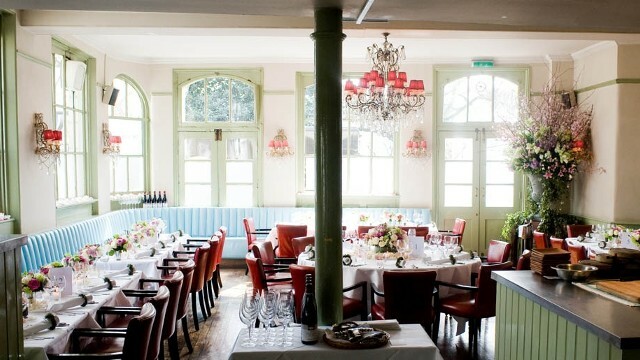 The first flat that we lived in when we moved to London was on Cheyne Walk and we soon discovered the gorgeous Chenye Walk Brasserie around the corner. We had frequent date nights there (the salt-encrusted sea bream is one of my favourite things on earth), I threw a bridal shower in their upstairs salon, and have been to a quite a handful of amazing celebrations there. This week I was invited to try the new “Meat Free Monday” menu at the restaurant. In honor of the 10th anniversary of the Cheyne Walk Brasserie, Head Chef Oliver Ripert devised a vegan and vegetarian lunch menu, which, in my opinion, is the perfect for the ladies of Chelsea who lunch. 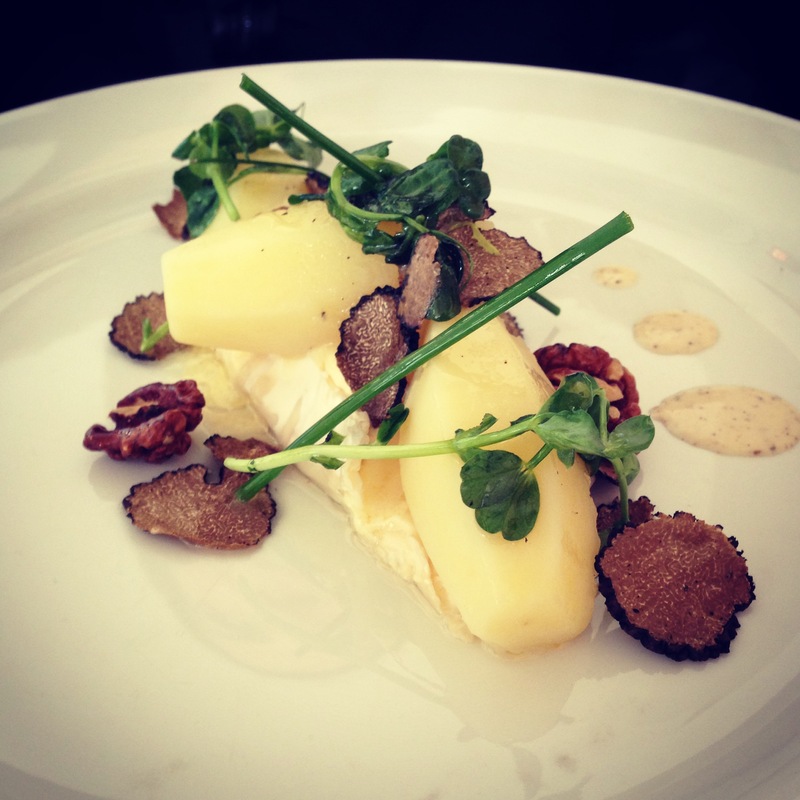 The Meat Free Menu includes a selection of marinated vegetables with sweet and sour dressing and Sakura cress, courgettes stuffed with aubergine caviar, and Brillant-Savarin (a cheese I had never tried) with black truffles. In celebration of the anniversary the restaurant also has created a special anniversary cocktail, called “Walk in the Park,” which I must say is delicious. 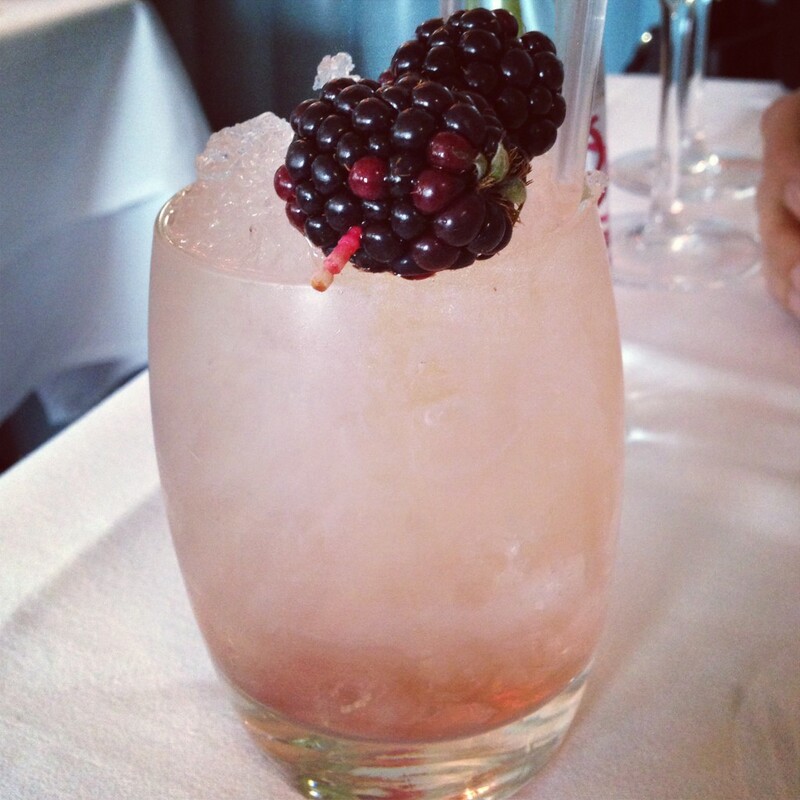 The drink contains a mix of “Little Bird” gin, nettle tea syrup, Chambord, Grapefruit bitters, and is topped with blackcurrants to create the perfect refreshing Autumnal drink. The delicious “Walk in the Park” with Little Bird Gin.